Bitcoin mining has evolved a lot since Bitcoin came into existence in 2009. In its early days, it was a simple task even home computers could participate in. Today, mining is done by ultra-powerful computers that are designed for that sole purpose. Conclusion: Who is the winner? As I’ve mentioned previously, mining has moved from being something you can do from the comfort of your own home to a specialized occupation that requires a lot of time and capital. Miners evolved from using PCs to GPUs (graphics processing unit) and later on to FPGAs (field-programmable gate array) before reaching their current state of ASIC (application-specific integrated circuit) mining. Today, if you try to mine with anything other than an ASIC miner, you’re in for a disappointment. ASICs are built specifically for Bitcoin mining and are therefore the most efficient type of miner out there. For reference, a single ASIC miner has the equivalent mining power of 700 GPUs. Thus, the massive move of miners toward ASIC hardware is easily understandable. Clear evidence of this is the Bitcoin network total hashrate, which has recently exceeded the incredible milestone of 50 exahash per second (that’s 50,000,000,000,000,000,000 hash calculations per second!). Today’s focus is on creating smaller chips for ASIC mining in order to produce more powerful miners. The smaller the chip, the more chips you can put inside a miner, increasing its mining capabilities. The smallest chip introduced commercially to date is a 7 nm (nanometer) chip by Bitmain and their Antminer S15. Power consumption: How much electricity does the miner consume? This is important since you’re going to run a huge electric bill if you mine Bitcoin. This is measured in watts, and the lower the number, the better. Hashrate: This is how much power the miner has to solve the mining math problem. It basically measures how many guesses the miner can make per second. While a personal computer can make a few million guesses per second, today’s ASICs can make 1*10^12 guesses per second. The higher you hashrate is, the better. Energy efficiency: This measures how effective your miner is. It is measured in joules which are units of energy. One watt of power is equal to one joule per second. Another way to look at it is that a joule is a watt multiplied by number of seconds. If this number is low, it means your miner will consume less power for the same amount of work and therefore be more efficient. A miner can have a very high hashrate, but if it’s not efficient, you’ll just end up paying more for the bitcoins it generates. An efficient miner requires less electricity to mine Bitcoin. All of the above factors are important to calculating efficiency, so make sure you have them all before proceeding. Once you have this information, you can insert it into a Bitcoin mining calculator and estimate how many bitcoins you’ll be able to mine per timeframe. Keep in mind that this calculation will never be 100% accurate since you can’t know for sure the exact difficulty measurement at the moment, or what will happen to Bitcoin’s price a week from today. The most well-known mining hardware manufacturer around, Bitmain was founded in 2013 in China and today has offices in several countries around the world. The company developed the Antminers, a series of ASIC miners dedicated to mining cryptocurrencies such as Bitcoin, Litecoin, and Dash. Their flagship bitcoin miner is the Antminer S9, which was launched in late 2016. Bitmain is also in charge of two of the largest mining pools around: BTC.com and Antpool. It could be said that Bitmain’s undeniable success has been achieved at the cost of creating widespread and powerful opposition across the crypto space. It’s likely that the bulk of mining equipment today consists of Bitmain miners, based on analysis placing Bitmain’s share of the ASIC market at 70%–80%. Canaan was founded in 2013 in Beijing by N.G. Zhang. Canaan began as a producer of FPGAs, the mining hardware that preceded ASICs. In May 2018, Canaan filed for listing on the Hong Kong Stock Exchange in what could be a $1 billion IPO. Canaan’s filing revealed a highly-profitable company responsible for nearly 20% of Bitcoin’s hashrate. Canaan is the world’s second-largest ASIC producer. The company has a wealth of experience in electronic design and production. Canaan recently released an innovative new product, a 43-inch “Avalon Inside” TV that doubles as a 2.8 TH/s Bitcoin miner. It’s clear that this veteran industry player has big plans for its future. The newest company on the block is Halong Mining. 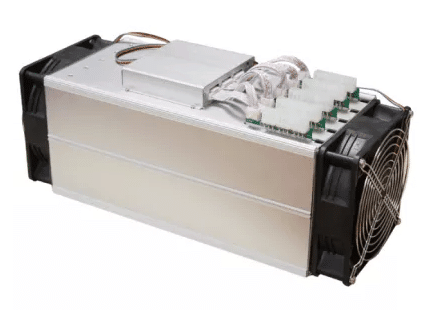 There’s not much information about this relatively anonymous company, but in early 2018, it delivered the most powerful Bitcoin miner seen yet: the DragonMint T1. Even though the Bitcoin community was fairly skeptical about this new company, the miners were delivered as promised and have performed as described. Halong Mining has also been tacitly endorsed by cypherpunk legend Adam Back. Cited by Satoshi in the original Bitcoin white paper, Back developed the “Hashcash” proof-of-work system, a modification of which forms the basis of Bitcoin mining. Innosilicon is a hardware company with design teams in China and North America, Innosilicon pride themselves of providing low cost, high-performance, fully customizable solutions combined with award winning customer design support. 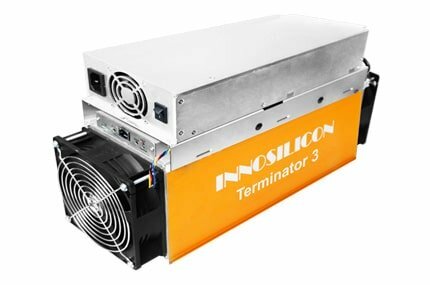 The company has entered the cryptocurrency mining market and introduced the Terminator series for mining Bitcoin, with their latest miner being the Terminator T3. Japanese giant GMO Internet has also introduced a new Bitcoin miner recently. While GMO Internet is mainly engaged in the Internet infrastructure business, it also runs other businesses such as online advertising & media, Internet financial services, mobile entertainment, and of course cryptocurrency. The company has also launched several crypto exchanges and it runs a mining business and cloud mining contracts. Ebang mainly engages in R&D, manufacture and sales of fiber optical telecommunication products. The company is also one of the largest ASIC chip manufacturers in their region. Ebang miners carry the Ebit brand. A veteran Bitcoin hardware and software company formed back in 2011. The company conducts large-scale mining operations on its own and currently accounts for 2.3% of the Bitcoin network hashrate. While you can find a wide variety of miners on the market, it’s highly recommended to use the latest models out there since they will give you the best return on investment. Here’s a short overview of the top miners around. This 7nm miner deployed in December 2018 is Bitmain’s flagship miner. 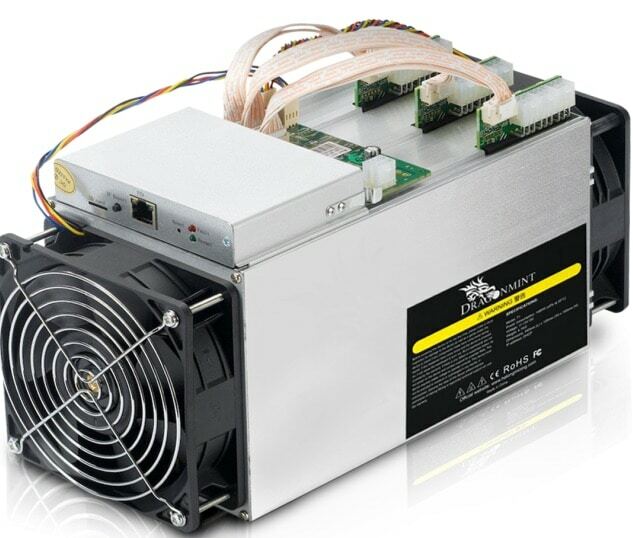 The miner can reach 28 Th/s, with a power consumption of around 1600 Watts. The miner has two modes – high performance and energy saver. The most powerful miner on the market yet the T3 can supply up to 43TH/s with a power consumption of 2100 Watts. 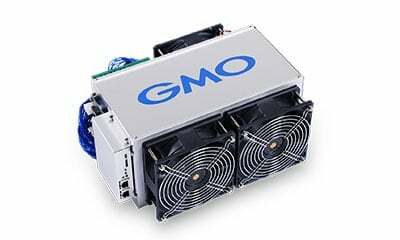 This 7nm miner by GMO is one of the leading contenders on the market. With a maximum of 33TH/s and a power consumption of 3400 Watts it gives the Terminator T3 a fair fight. 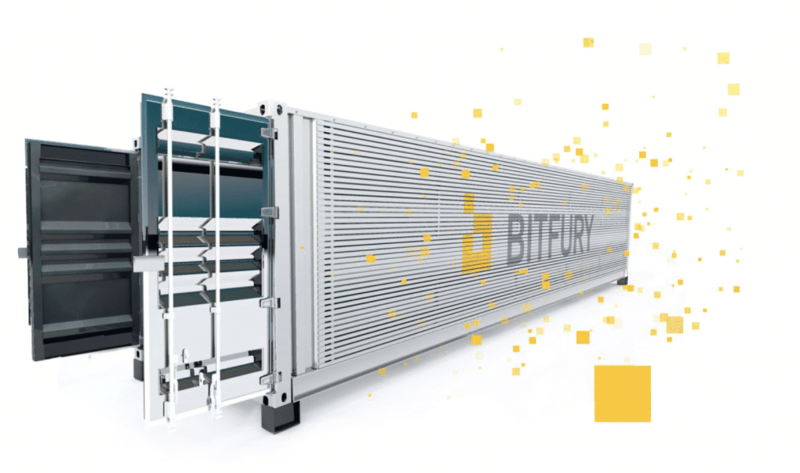 Scheduled for deployment in February 2019 this might be one of the most impressive miners yet. With an ideal hashrate of 44TH/s and a power consumption of around 2000 Watts this is the most efficient miner at the moment. 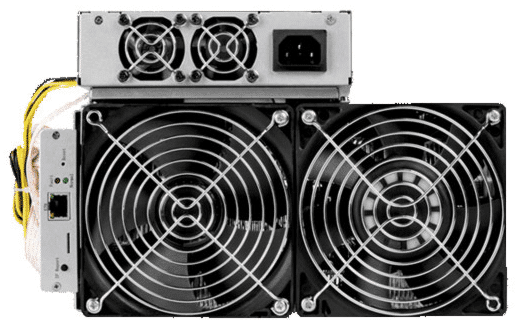 The latest Bitcoin miner to be deployed, the DragonMint T1, can reach up to 16 Th/s with a power consumption of 1600 Watts. The miner is also relatively efficient, which makes it a highly sought-after product. I put the leading miners against one another in our Bitcoin mining calculator. For electricity costs I used $0.12 which is high, just to get a better idea of how important low electricity costs are for profitable mining. For pool fees I used the standard 2% fee that can be found on most pools. Calculations are done according to November 2018 values. I compared the results after 1 month of mining since mining stats such as Bitcoin price and difficulty change frequently, so using the same results for the course of a year would be unrealistic. The S15 seems to be making a decent profit of 0.0289 BTC before electricity costs. However you can see that in this case the high electricity accounts for almost 90% of the expenses. The T3 makes a whooping 0.0442 BTC before electricity costs. Being more efficient than the S15 electricity takes only about 75% of the revenues. The B3 reaches 0.034 BTC before electricity costs. The problem is that this miner isn’t very efficient meaning that in area where electricity is expensive you’ll end up losing money. Probably the most surprising miner is the E11++ which isn’t out on the market yet. The miner manages to generate 0.0453 BTC before electricity is taken into account. However this miner is also said to be super efficient making electricity count for “only” 68%. Finally the T1 makes only 0.0165 BTC with electricity eating up all of the revenue and leaving you at a loss. This is because the miner is less efficient than the other two competitors. Due to the fact that the E11++ isn’t out yet, the Innosilicon T3 is clearly the winner in terms of profitability “on paper”. Keep in mind that the example above doesn’t include hardware costs. For example, at the time of writing this article, the T3 costs almost 50% more than the Antminer S19 however in the long run this difference gets covered by the higher profitability. The reason I don’t include prices in this article is because these miners tend to sell out pretty fast, and most of the time people buy them on second hand markets such as eBay or Amazon, so their prices can vary a lot. 6. Conclusion: Which is the best Bitcoin miner? The Innosilicon T3 emerges as the best-priced option that displays good performance. However, the company itself hasn’t earned the reliable reputation Bitmain has. In the near future more and more companies will start to manufacture Bitcoin mining hardware (e.g. Samsung) and that should increase the supply and lower miner prices even more. Have you tried mining with any of these miners? Want to share your experience? Let me know your thoughts in the comments section below. Asics are crap, you forgot to include the FPGAs that will decimate all the asics in 2019. One of the best hardware for mining is ASICminer Zeon 180,000 Sol / s. Recently, only buy, but a steady income. I think about buying a couple of these! Hello friends. I want to say that asicminer is a very good company. I have bought more than one device from them. I am pleased with everything! Recommend! Hello! I now use ASICminer 8 Nano 44Th / s. For me, he is the best. Initially, he did not dare to buy, but my friend advised me to take it. Did not regret it at all! Not a modern review. S9 is obsolete, I will keep silent about the other miners. Where is the review of the new miners? – GMO В2 / В3, Bittech One / Mini, Е10 + and others?